Translated as: "You're right. We're a bunch of 4:30 poldders now, but back in high school we did score four touchdowns in one game for Polk High." Kip, Letsrun community is where you're least likely to find 4:30 Marathoners. In fact many visitors wonder why we KL detectives care about a non elite marathoner such as yourself. a study of letsrunners found that the median 5k PR time was in the 15-16min range. This might be more like 18mins but i don't think it's far off. According to ScottH and others, kip admitted to creating West Wyoming. Are you saying that someone framed kip by creating it and then listing kip as the winner? Why was the events website at the same IP address as His dental practice and other local Michigan businesses? Why was it at the same IP address as the other fictitious races, sandy springs(GA) and pine hills(FL)? Why hide the race number and skulk about at the start dressed as a non-participant? Wayne Kursh, who is the Delaware race director who called out DQing Kip Litton on his blog, also says in another post of his that Kip's worldrecordrun.com website (taken down - was hosted at same IP as kip's dental practice's website as well as event websites for WWY marathon, Sandy Springs, & PineHills) was collecting the donations and that they may not have been going directly to CFF (cystic fibrosis foundation) website. When I first became involved in the Kip Litton saga, the worldrecordrun.com website was gone, so unfortunately I was never able to see how such a donation system worked. I believe kip has good intentions though but maybe got carried away with trying to go sub3 for too many races close together on the calendar. Because of recent threadbumps, I just had the pleasure of catching up on this saga for the first time. I still have the post-read glow, but I regret that this will fade in time and that technology doesn't exist to let me re-read it for the first time. I can only imagine the ecstasy of having been involved in the study from the beginning. My favourites are the clickable map and the outfit description. Well done. a study of letsrunners found that the median 5k PR time was in the 15-16min range. "According to ScottH and others, kip admitted to creating West Wyoming. " Not true. Although, scotth has admitted (after being busted) that he posted under several different names on this thread in order to appear like more people were "in the know." Also, where is that article that scotth (and his aliases) have purported to start to write and/or passed off to a writer which no one can speak his name for some reason. "Why was the events website at the same IP address as His dental practice and other local Michigan businesses? Why was it at the same IP address as the other fictitious races, sandy springs(GA) and pine hills(FL)?" Duh. I think you scored less than Claiborne? Care to guess where scotth and all his aliases reside? People also seem to forget when Kip was supposed to run Cowtown. This was a complete fabrication. He never planned to and never registered. If you dig deep enough you'll find one person and his aliases at the bottom of a lot of the misinformation on this thread. Can't wait for that article. Let's see. I believe the last I heard from one of the aliases that it was going come out before Boston. I'm sure it will be hitting the news stands soon. Just can't wait to see who the mystery write that cannot be named is. The fact is that someone by the name of Kip Litton was registered at CowTown. Whether kip registered himself or some troll did it, no one knows. I talk to Scott from time to time. ScottH was going to do the article in michiganRunner column, but now that someone who writes for a national magazine is doing it, Scott is holding off. The one person with a lot of misinformation seems to post under VerdictIsIn or ActuallyThisIsTheWayItIs and other similar names. I actually hope Kip can cheat Boston (not that he has before!) and laugh his way to a sub 2:50! Damn like How do u change clothes from 30k (mile 18) to the finish? Plus All those Fences near the finish have crowds about 4-5rows thick on both sides of the road. It's gotta be tough. None of what he does is rocket science, you just pull over and announce a sudden toilet emergency and are let through. Some people throughout this thread have expressed the idea that there is mystification about how he does it, they are wrong, its the "why" that causes the mystification. I talk to Scott from time to time. ScottH was going to do the article in michiganRunner column, but now that someone who writes for a national magazine is doing it, Scott is holding off. If you are so in the know, what is the name of the writer, which magazine, and when is it coming out. We're waiting with baited breath. Of course it also makes perfect sense for him to hold off on writing a column for a tiny publication like MichiganRunner so that a writer for a magazine could pick it up. Face it. Both scotth writing a column and a writer for a national magazine are fabrications. There are way too many holes and retractions in all these stories to make them even remotely believable. Could Kip provide us with his gps watch results for the races in question? 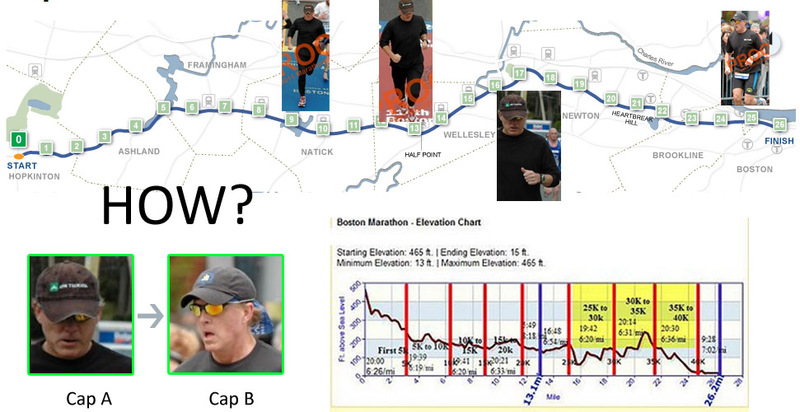 I know my Garmin has all the data needed to validate my races and can be shared. Have you ever met Scott? Do you live in the area? I certainly can't claim to know Scott, but I have seen/heard him and known who he is for some years now and he doesn't strike me as a person to fabricate something like you claim. For one thing there is no reason for him to do such a thing and every reason not to. I know ScottH and many other contacts (Ouch1000, Pat, GK, WK, BK, etc for no other reason than that this story connected many strangers across the country. The main fabrications are not my posts. They are West Wyoming, sandy springs, pine hills, the creation of fake finishers and fake race websites, and possibly on pgs 15-20 of this thread - the creation of fake Athlinks accounts in a lousy attempt to cover it all up. Outfit changes, large chip/gun time differentials, lack of photos, bib coverings, splits that make little sense, participants who've contacted RDs because they claim Kip never passed them yet somehow ended up in front of them. Dont forget the posts byOne of kip's buddies who identified himself as a Mr Dan Baxley. This character came onto letsrun forums here all in a pissy fit in late 2010 defending the early kip Litton cheating accusations, only to shut up after he was presented with The boatloads of evidence. We Haven't heard from him since. Maybe he use the first hat to wipe in the portopotty? Someone then must've given him a BAA hat or he found it on the ground? Is kip taking up the bet on an earlier page for $10000 if he breaks 3hrs? I'm on your side, I have been Kipped many times. JOKM is the one you need to convince.